Sharefaith's Website Builder has helped over 8,000 ministries create beautiful church websites. Let's get you started! By having a crisp and clean church website design, your congregation will be able to quickly look up activities — and they may even want to share the website with their friends and family. At Sharefaith, we have designed some beautiful church website templates , ready for you to customize, edit and publish. Easy, fast and beautiful! When you edit your website, you want simplicity. You want power features, but you want it to be easy. Our church website editor does just that. 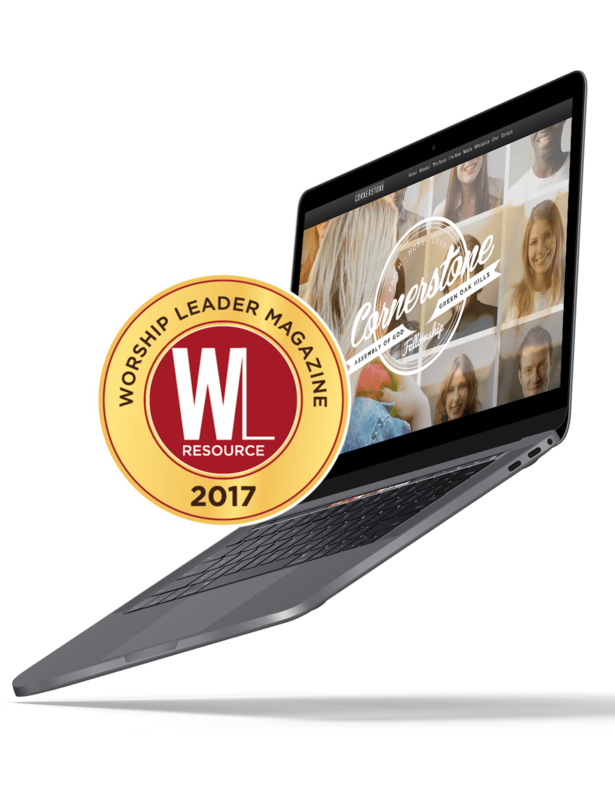 No wonder it won the Worship Leader Magazine's Best of the Best Award, nine years in a row! 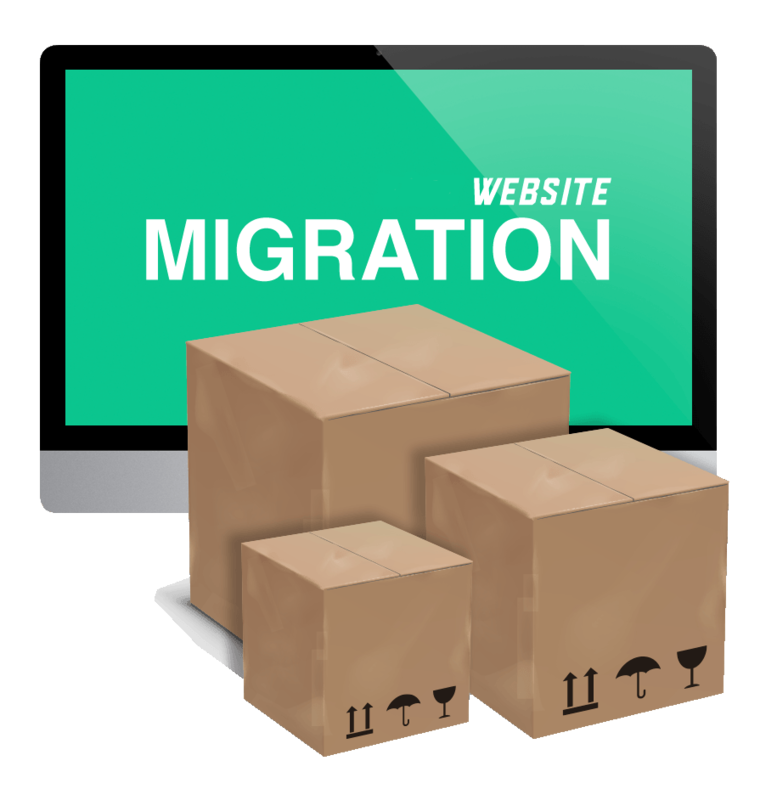 Your beautiful website includes hosting, up to 3 sub domains, unlimited pages and sub-pages, responsive mobile friendly design and custom support. You can easily drag and drop graphics from the Sharefaith Worship Media library and use our built-in graphics editor to add content. 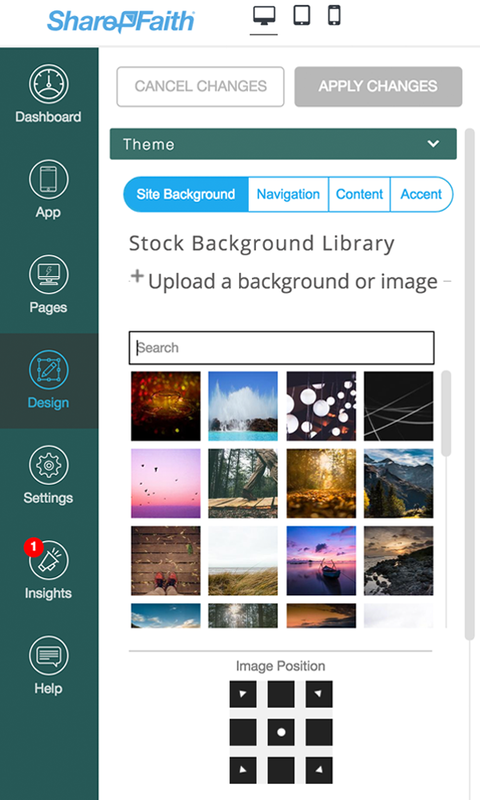 If you like simple drag-and-drop features that easily take care of your audio, video, photo galleries, blogs, calendars, and tithing, then you'll love our Sidekick Website editor. You can even drag and drop custom graphics from Sharefaith's library and put your own text on it, using our built-in Sidekick designer. Build your dream website in minutes! Regardless of what device your congregation uses to visit your church website, it will look great! Our intelligent responsive design beautifully refines your website to fit on a smartphone, tablet or desktop. Go even further by activating your Sharefaith Church Mobile App for a full custom app experience. "Awesome, easy to edit , beautiful, tasteful, Christ-centered, a great way to reach the world, and a blessing to our people. Thanks!" "We've used Sharefaith for over a year now and have benefited in so many way. Thanks for what you do Sharefaith!" "Sharefaith has been a huuuuuge blessing. No where else do you find the ease, the selection, and the support like at Sharefaith! I've told all my other church creative peers to go with Sharefaith." "We have used Sharefaith for about 4 years, and without a doubt, it's the number one resource for our website/media needs every week!" You can be church, a non-profit, a band or even a kids camp. 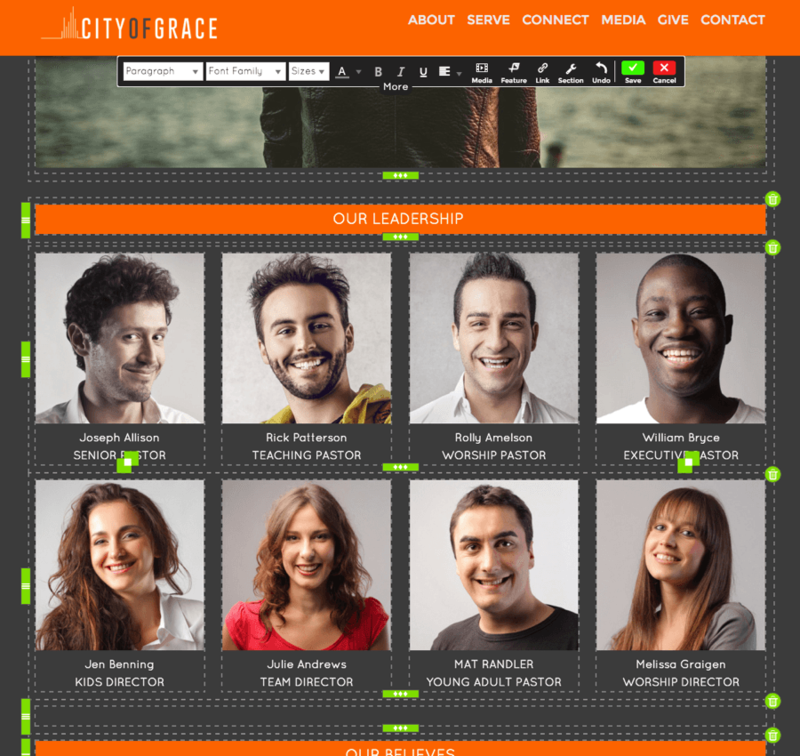 Regardless of your ministry type, Sharefaith Church Websites has a template for you. You'll love the versatility to create whatever you can imagine. We proudly host and create websites for Christian churches, ministries, and non-profits only. Are you too busy to get started with a new website? We love to help! We'll move your old website, and all it's contents, free of charge, to a brand new Sharefaith website. Make sure you are on our Complete Yearly plan and let's go! Hi! I'm here to help if you have any questions about Sharefaith's Church Websites.